Amore, Anthony M., and Mashberg, Tom. Stealing Rembrandts: The Untold Stories of Notorious Art Heists. Palgrave Macmillan Trade, 2012. Bazley, Thomas D. Crimes of the Art World. Praeger, 2010. Boser, Ulrich. The Gardner Heist: The True Story of the World’s Largest Unsolved Art Theft. Harper, 2010. Charney, Noah. Art and Crime: Exploring the Dark Side of the Art World. Praeger, 2009. ——. The Art of Forgery. Phaidon Press, 2015. ——. The Art Thief. Atria, 2007. ——. Stealing the Mystic Lamb: The True Story of the World’s Most Coveted Masterpiece. PublicAffairs, 2012. ——. The Thefts of the Mona Lisa: On Stealing the World’s Most Famous Painting. ARCA, 2011. Conklin, John E. Art Crime. Praeger, 1994. Connor, Miles J., Jr. The Art of the Heist: Confessions of a Master Thief. Harper Perennial, 2010. Dolnick, Edward. The Forger’s Spell: A True Story of Vermeer, Nazis, and the Greatest Art Hoax of the Twentieth Century. Harper, 2008. ——-. The Rescue Artist: A True Story of Art, Thieves, and the Hunt for a Missing Masterpiece. HarperCollins, 2010. Forgy, Mark. The Forger’s Apprentice: Life with the World’s Most Notorious Artist. CreateSpace, 2012. Harr, Jonathan. The Lost Painting. Random House, 2006. Hart, Matthew. The Irish Game: A True Story of Crime and Art. Walker Books, 2009. Hebborn, Eric. The Art Forger’s Handbook. Overlook Books, 2004. ——. Drawn to Trouble: Confessions of a Master Forger. Random House, 1993. Houpt, Simon. Museum of the Missing: A History of Art Theft. Sterling, 2006. Hoving, Thomas. False Impressions: The Hunt for Big-Time Art Fakes. Touchstone, 1997. ——. King of the Confessors. Simon and Schuster, 1981. Irving, Clifford. Fake! The Story of Elmyr De Hory, the Greatest Art Forger of Our Time. McGraw-Hill, 1969. Keats, Jonothan. Forged: Why Fakes are the Great Art of Our Age. Oxford University Press, USA, 2012. Knelman, Joshua. Hot Art: Chasing Thieves and Detectives Through the Secret World of Stolen Art. Tin House Books, 2012. Kurkjian, Stephen. Master Thieves: The Boston Gangsters Who Pulled Off the World’s Greatest Art Heist. PublicAffairs, 2015. Lenain, Thierry. Art Forgery: The History of a Modern Obsession. Reaktion Books, 2011. Lopez, Jonathan. The Man Who Made Vermeers: Unvarnishing the Legend of Master Forger Han van Meegeren. Mariner Books, 2009. Mason, Christopher. The Art of the Steal. Berkley, 2005. Mould, Philip. The Art Detective: Fakes, Frauds, and Finds and the Search for Lost Treasures. Viking, 2010. ——. Sleuth: The Amazing Quest for Lost Art Treasures. HarperCollins, 2011. New York Times. 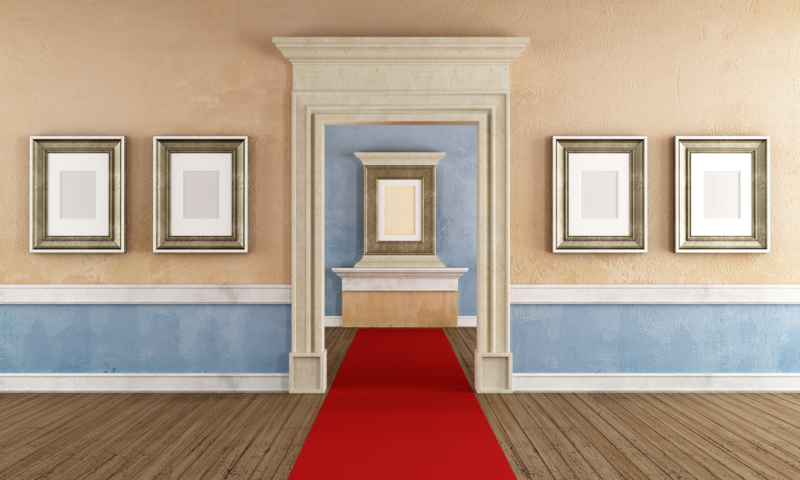 The Gardner: America’s Greatest Art Heist. The New York Times Company, 2015. Perenyi, Ken. Caveat Emptor: The Secret Life of an American Art Forger. Pegasus, 2013. Radnoti, Sandor. The Fake: Forgery and Its Place in Art. Rowman & Littlefield Publishers, 1999. Salisbury, Laney. Provenance: How a Con Man and a Forger Rewrote the History of Modern Art. Penguin, 2010. Scotti, R.A. Vanished Smile: The Mysterious Theft of Mona Lisa. Knopf, 2009. Wittman, Robert K. Priceless: How I Went Undercover to Rescue the World’s Stolen Treasures. Broadway Books, 2011. Adam, Georgina. Big Bucks: The Explosion of the Art Market in the 21st Century. Lund Humphries, 2014. Ewell, Bernard. Artful Dodgers: Fraud & Foolishness in the Art Market. Abbott Press, 2014. Findlay, Michael. The Value of Art. Prestel Verlag, 2012. Thompson, Don. The $12 Million Stuffed Shark: The Curious Economics of Contemporary Art. Palgrave Macmillan, 2012. Watson, Peter. From Manet to Manhattan: The Rise of the Modern Art Market. Random House, 1992. Carter, Morris. Isabella Stewart Gardner and Fenway Court. The Trustees-Isabella Stewart Gardner Museum, 1972. Goldfarb, Hilliard T. The Isabella Stewart Gardner Museum: A Companion Guide and History. Yale University Press, 1995. Gross, Michael. Rogues’ Gallery: The Secret History of the Moguls and the Money that Made the Metropolitan Museum. Broadway, 2009. Hawley, Anne, et. al. Isabella Stewart Gardner Museum: Daring by Design. Skira Rizzoli, 2014. Higgonet, Anne. A Museum of One’s Own: Private Collecting, Public Gift. Periscope, 2010. Hoving, Thomas. Master Pieces: The Curator’s Game. W. W. Norton & Company, 2005. Shand-Tucci, Douglass. The Art of Scandal: The Life and Times of Isabella Stewart Gardner. HarperCollins, 1998. Vigderman, Patricia. The Memory Palace of Isabella Stewart Gardner. Sarabande Books, 2007.